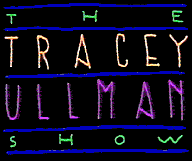 The Tracey Ullman Show was a weekly American television variety show, hosted by British comedian and onetime pop singer Tracey Ullman. It debuted on April 5, 1987 as the FOX network's second primetime series and ran until May 26, 1990. The show featured sketch comedy along with many musical numbers, featuring Emmy Award-winning choreography by Paula Abdul. 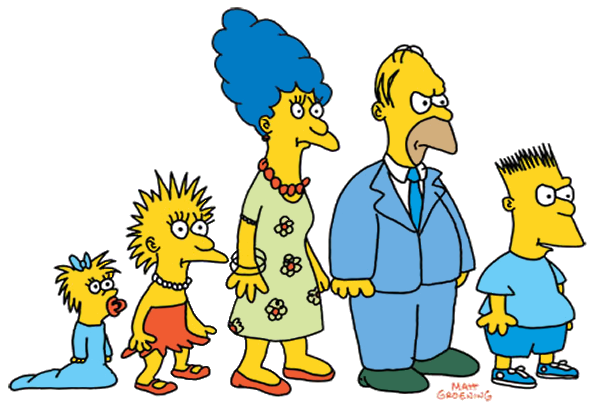 The Simpsons first appeared as short vignettes on the Tracy Ullman Show. These cartoon shorts acted as bumpers that are shown before and after commercials. The shorts were written by Matt Groening and animated at Klasky-Csupo by a team consisting of David Silverman, Bill Kopp and Wes Archer (in the later seasons, the shorts were animated by Silverman and Archer) Dan Castellanata, Nancy Cartwright, Yeardley Smith and Julie Kavner provided the voices of characters Homer, Bart, Lisa and Marge. 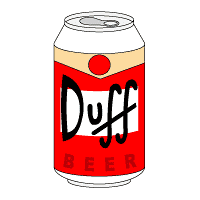 The characters were crudely drawn because Matt Groening assumed that the animators would clean them up after he submitted the rough sketches them. Instead, the animators simply traced over the sketches. The first short, Good Night, was aired on April 19, 1987. Later, the shorts were given their own segment on the show before the cartoon was developed into a 30 minutes TV animated spin-off in 1989. One unseen short that was going to be part of the short Season 4 was storyboarded in June 1989, because the producers thought the shorts were going to continue. It appears that in the short Bart watches a scary sci-fi movie late at night and has a bad dream when he goes to bed. Modified on April 1, 2017, at 12:35.